Use the Gandia car hire price comparison website tool below to quickly find the cheapest car hire for Gandia in Spain in just seconds. The free price comparison search engine below will compare all the current Gandia car hire deals and car rental rates to give you the lowest and cheapest car hire for Gandia. The price comparison tool will compare all the latest Gandia car hire quotes and prices and car rental rates between the major international brand name car hire companies as well as national and local Spanish car hire companies saving you both time and money. It is free to use – just put in your dates for your car hire Gandia and tell us what type and size of car you want to hire – then let the price comparison booking engine do the rest! Hiring a car in Gandia is essential because of the lack of public transport. The only reason not to hire a car in Gandia is if you are staying in the centre of Gandia where everything you need such as shops and restaurants are within walking distance. If you are coming on holiday to Gandia you will probably be arriving into Alicante airport where there are of course many car hire companies both local Spanish companies and major international car hire companies. To get driving directions see our Gandia map. Coche de Alquiler – address: Plaça Parc de L’estacio, Gandia – telephone 902 123 507. Rent A Car Ducal – address: Avgda Blasco Ibáñez, 6, Gandia – telephone 962 961 834. 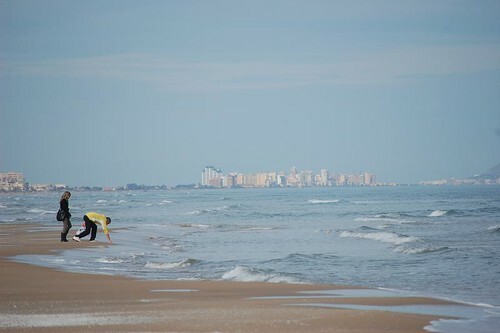 Hiring a car in Gandia gives you great flexibility to discover the many varied sights and towns of the Costa Blanca. We have carried out extensive research comparing all the major Gandia car hire companies. We have found when hiring a car in Gandia you need to shop around – there is no Gandia car hire company that is always the cheapest. Much depends on your dates and the availability of the various models of car hire that each Gandia car hire company has for those dates. Contacting each Gandia car hire company can take hours and hours and be very confusing so the best way to find cheap car hire in Gandia is to use a car hire search-engine which trawls the web in seconds and scours all the reputable Gandia car hire companies with your specific information i.e. the dates for your Gandia car hire, where you want to hire the car from (and drop it off), the size of car hire needed etc. If you click on the link above you will go to a page containing the best search engine for cheap Gandia car hire that we have found. It’s from an independent company called Car Trawler. They have special discounted internet rates with all the major Gandia car hire companies and using their tool they compare all the rates from the various Costa Blanca car hire companies and then give you the cheapest price for car hire for Gandia.